I'm so honored to be here guest hosting for Kate today. 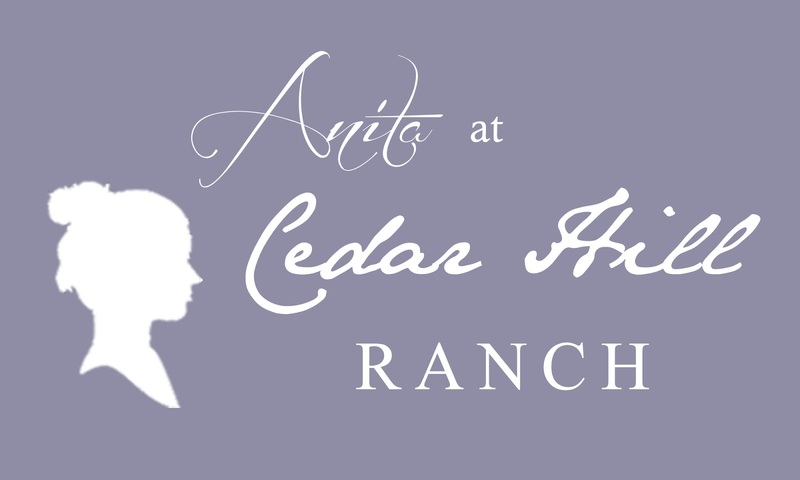 I'm Anita from Cedar Hill Ranch where we do Texas Living with a French Accent. 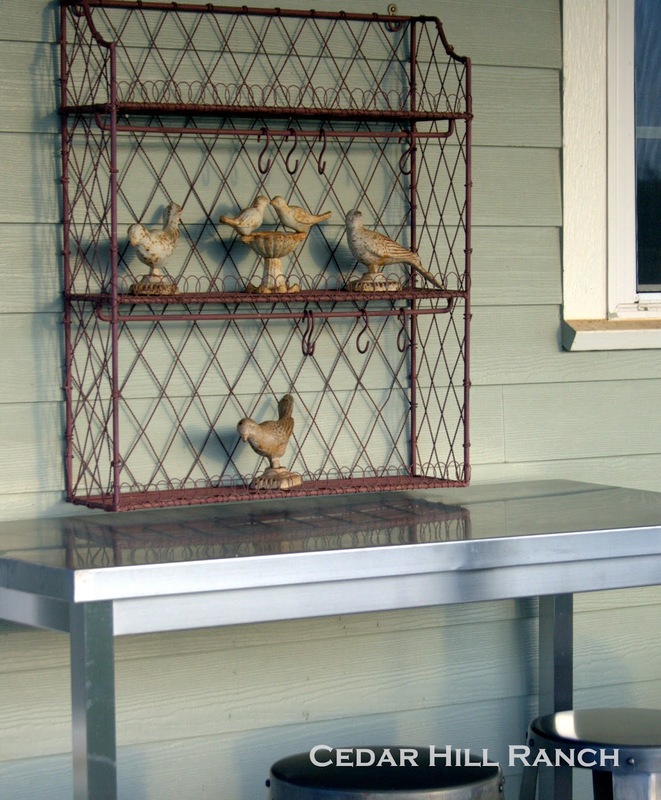 Right now it's perfect porch weather in Texas, so I thought I might share some ideas for how you can set up your porch for outdoor living. I know a lot of people set a rocker outside and call it done, but here in Texas we like to do things BIG. My back porch is 600 sq. ft., which I know is on the large-ish side, still some of these ideas could be used on a smaller scale. The main piece of furniture on our back porch is an antique daybed. 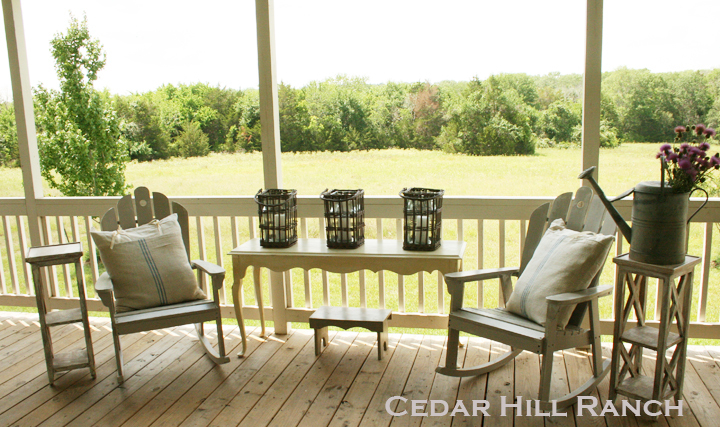 We use it all of the time for visiting with friends, reading a book, enjoying the breeze, or taking a lazy nap. I made the bedding using linen fabric and vintage grain sacks. The antique trunk works perfectly as a coffee table providing a mouse-free storage space, and just the right spot to put your feet. There's also a 7 ft antique pine kitchen table that we use for dinner. 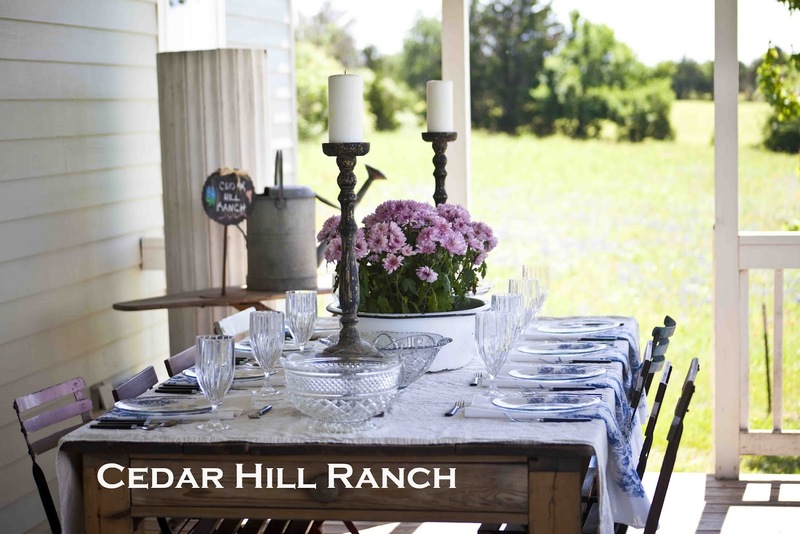 This is one of my favorite places to serve dinner when we have guests. It's a great place to enjoy a meal in the evening, since it's shaded and usually has a gentle breeze, but the best part is the view as the sun sets in the west. A pine china cabinet full of dishes, means I don't have to go inside to grab plates for dinner. We added a non-working electric chandy that we converted so it could be used with candles, click here to see how I did it. On the other side of the porch we have what we call the breakfast nook, which is really just a small table that seats 4. During a recent party, the back porch was a favorite place for guests to hang out, click here to see more. I made homemade bunting for the back porch for a festive feel. I love to cook out outdoors, so I often bring my electric skillet outside and do my cooking on this Ikea stainless steel table. 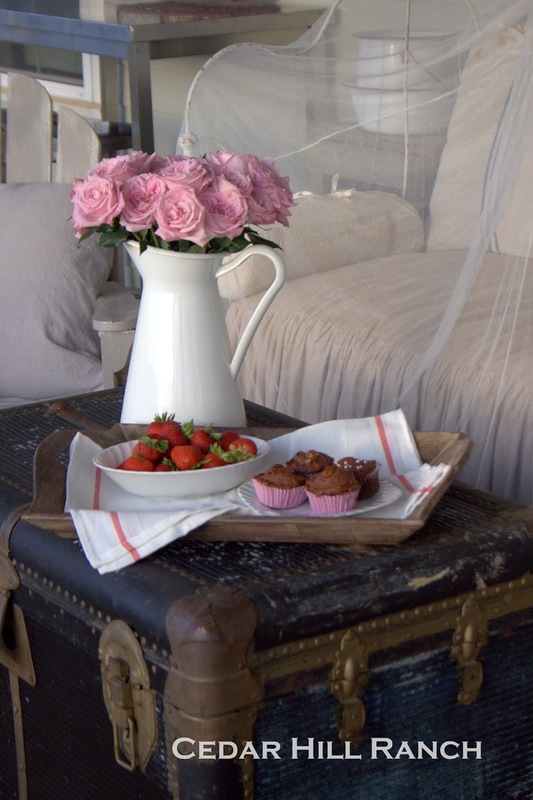 A small pie safe acts as a side table next to the daybed and provides more storage. I've so enjoyed sharing our back porch with you. Now that we've met, come by any time. I've got a rocker here with your name on it. Well... not literally... that would be weird. You can tour the rest of the ranch here. Kate, thanks so much for allowing me to share my back porch with your gracious readers. 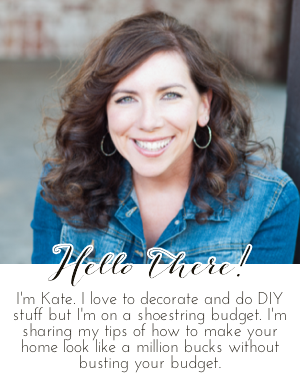 Kate, you chose one of my favorite bloggers to feature!!! I just LOVE Anita and her wonderful French style DONE SO RIGHT! I am not a fan of a lot of french decor... it looks so thrown together, but Anita's French decor is so swoon worthy... magazine worthy! Maybe french design should be done in Texas accent! I would sit for hours on her gorgeous back porch!!! There is so much beauty and peace there! Anita, I learned a few new things from you today. What a fabulous idea to use your skillet and cook outside. I'm copying that!!! Also I never really thought about putting a full cabinet outside to house dishes.Brilliant and beautiful!!! Thanks so much for spreading beauty and wisdom in all of bloggland! Kate, I just added you to my blogroll! I need to keep up with you! 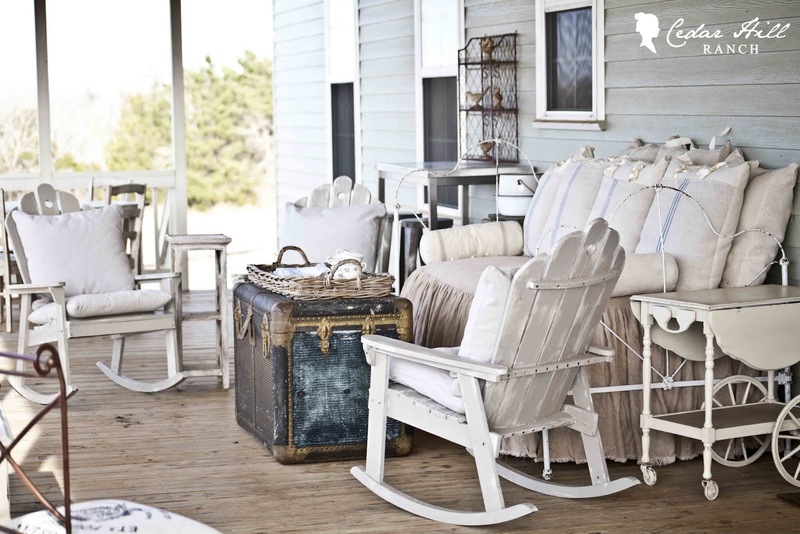 Anita's porch is just so amazing...just love all of her furnishings, especially that gorgeous day bed!....Not only is her porch amazing but her view is too!! 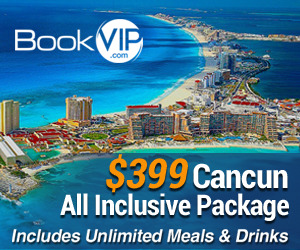 !...wonderful, wonderful feature! Anita is a wonderful and talented lady. Blessings to you and nice visiting with you this morning. Anita, you porch is calling my name. I'd be content to spend lazy afternoons on that day bed, reading and dozing. With all this wonderful rain the past two days, things are going to be beautiful. Thanks for sharing. Oh my word, back porches simply do not get any prettier than that!!!!! AMAZING. I love it, I feel at once more relaxed and like I am decompressing just LOOKING at those droolworthy images! How beautiful your porch is, so relaxed and inviting,I would love my porch to look like that.I could sit and enjoy my coffee for quite awhile on your porch. Very nice. Anita's porch is amazing! I have always loved her style. Always love seeing Anita's porch. I could just hang out there for hours with her. This is so wonderful. I love this porch. We have a great porch that I need to head outside this very moment and fix up...I'm so inspired! 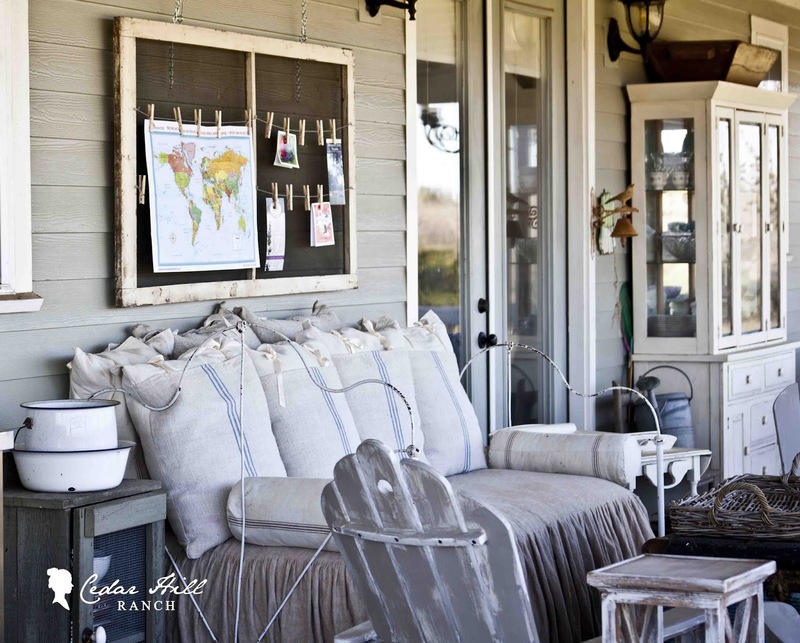 This is one gorgeous porch...I could move right in! Now a days many peoples are moving their living rooms outside. I have a small patio and I will surely spruce up my outdoor space with the help of your easy and fun decoration ideas. Thanks for sharing.